There is a famous phrase “Kim-Na-Park-Lee” among fans of Korean pop music, referring to singers Kim Bum-soo, Naul, Park Hyo-shin and Lee Soo who are widely considered the country‘s top vocalists. “It’s an interesting phenomenon. It’s not like there are just four great vocalists in the country, but it has become like a symbol for good singers. I’m honored as it’s a list picked by the public, but I don’t really know what’s so great about me,” said Kim, during a press conference for a new project commemorating the 20th anniversary of his debut. The “Make 20” project represents his plan to release songs that are not tied to a specific genre or generation. 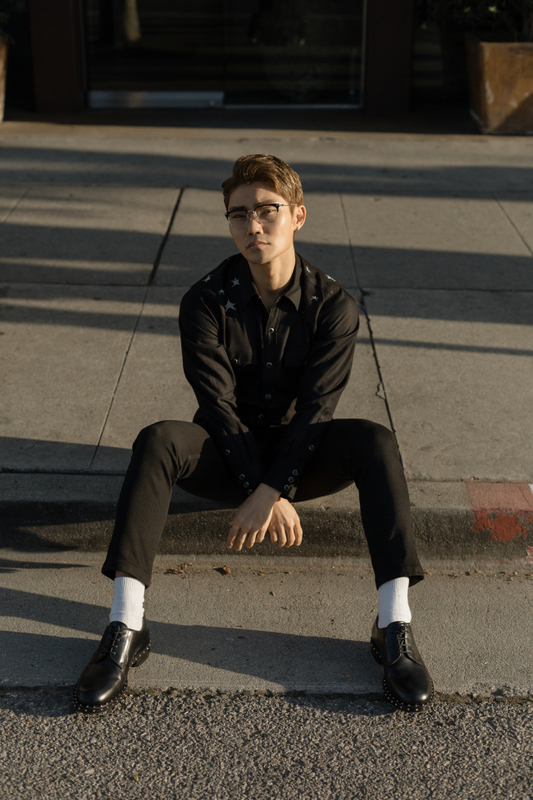 There are three categories: “Remake,” his own interpretation of songs considered classics in Korean pop; “New-make,” release of his new songs and “We-make,” his collaborations with other artists. No specific genres, timeline, deadline, just an artist introducing his music world to the public the way he likes it, when he likes it. “I wish it to be a slowly-paced ‘analogue-type’ project, like taking a stroll,” he said. 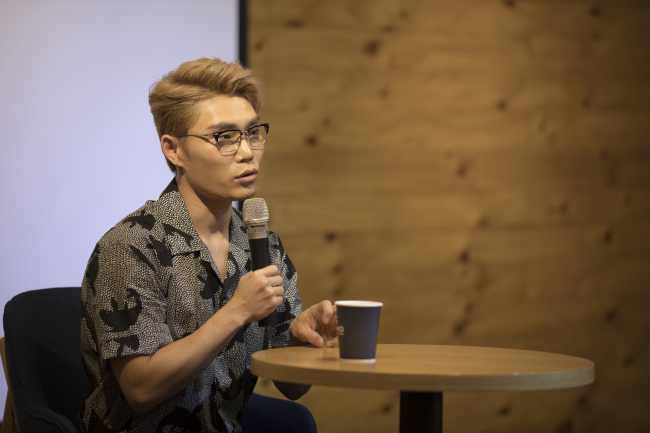 For part one of the project, he released a reimagined version of Shin Hyo-bum’s “I Love You” at noon, Thursday. “It’s a love song that can reach out to both males and females, and has a positive energy which I think can be a consolation for these times,” he said. Nigerian-Korean model Han Hyun-min makes an appearance in the music video for the song. Kim said his confidence and positive energy is the perfect fit for the song. For other segments of the project, Kim said he wishes to collaborate with artists like rapper Dok2 and singer Naul, who is part of “Kim-Na-Park-Lee” and who is also his friend. Despite his singing prowess, Kim has never been one of the most popular singers for the majority of his career. That is until he was a contestant for MBC’s “I Am Singer,” a singing competition that pitted Korea’s most established vocalists against each other. “I will never forget that moment. It was the first time that I was in the center of all that attention. I felt like ‘I can be the hero. I can be applauded’,” he said. Kim added that the show made the public see him primarily as a vocalist and not the other elements he possesses as an artist. He said he wishes to show off other sides of himself, particularly by releasing the songs he has written himself. When the songs number about 20, Kim plans to release them in the form of two repackaged albums. Staying true to the analogue theme, he said he hopes the release will also be in LP form. Being the first Korean artist to be ranked in the Billboard Hot 100 in 2001, Kim said making a re-entry into the chart is one of his goals, but not his only goal. “Billboard is not what my career is aimed at,” he said, indicating that he will not release his songs specifically for the international fans. Kim, 37, rose to prominence through his song “I Miss You,” an original sound track from the 2003 drama “Stairway to Heaven.” Although he was considered one of the most powerful vocalists in the country for a long time, the spotlight evaded him as his looks didn’t appeal to the public in an industry where appearance is just as important as talent. It was through appearing in the aforementioned “I Am Singer,” that his popularity surged.